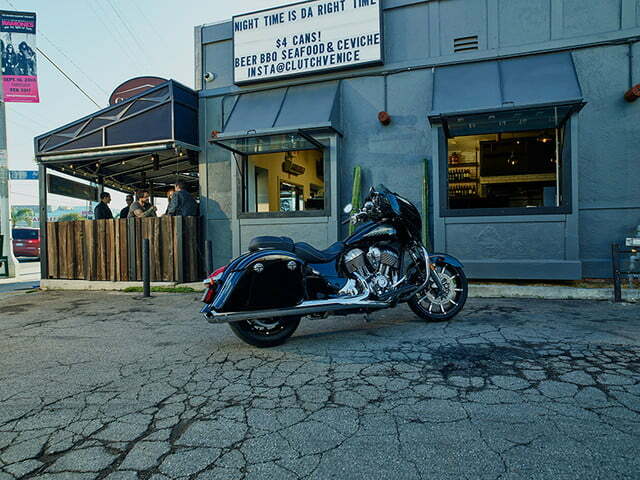 Looking for a new trip and town bike? 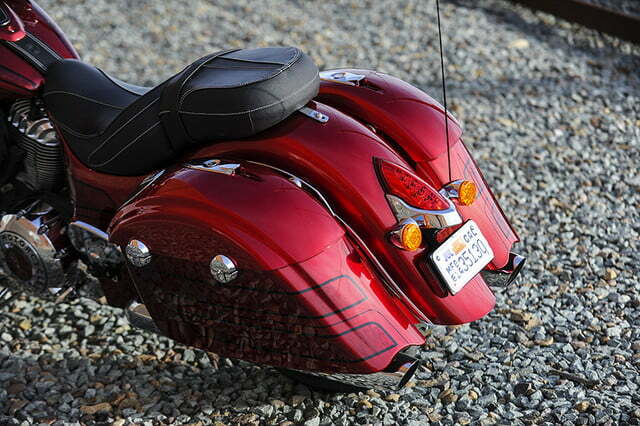 Indian Motorcycle just announced two new custom-ish Chieftain bagger models that might fit the bill. 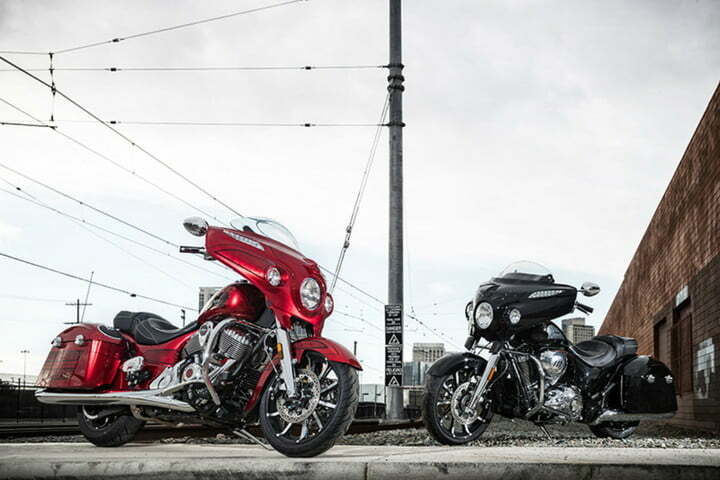 The 2017 Chieftain Limited and 2017 Chieftain Elite come on the heels of the 100-unit 2017 Jack Daniel’s Indian Chieftain special edition models, which sold out in 10 minutes. 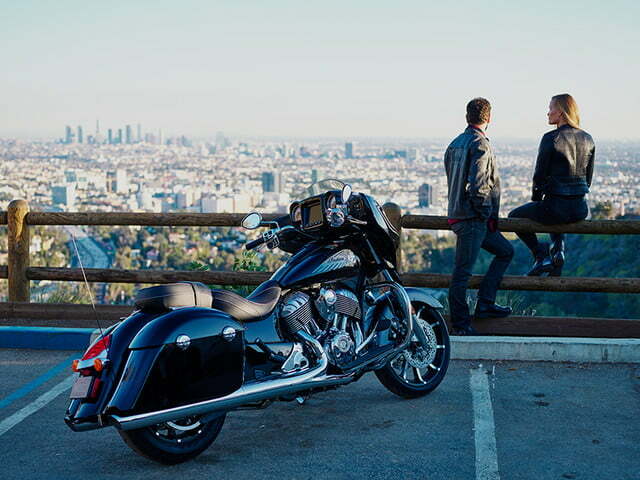 The Chieftain Elite is a limited edition, only 350 will be available for sale globally. Before we look at the two new Chieftain variants, let’s be clear on the naming. 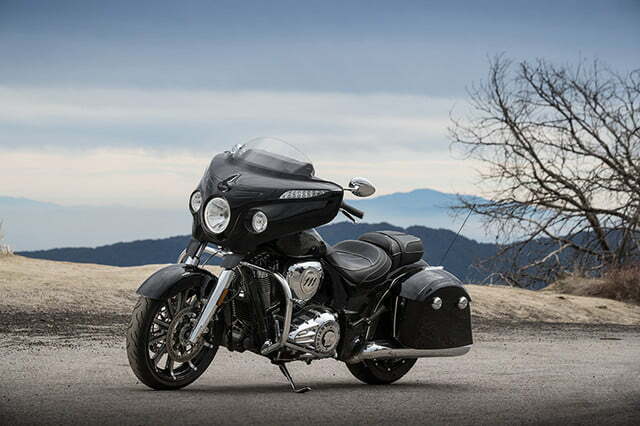 The Chieftain Limited is not the limited edition version, that’s the Elite. Both new models have the slightly cut-down look. 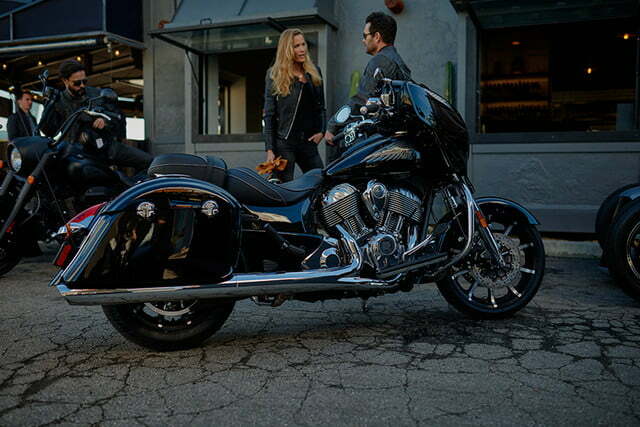 The Chieftain Elite is the one that’s loaded with accessories — that’s why the $7,000 higher price tag, that and the truly limited edition hand-painted special finish. 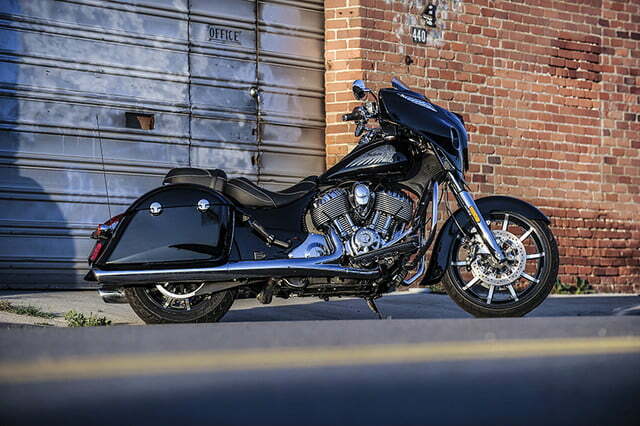 The Chieftain Limited has a starting price of $24,500, $500 more than the standard 2017 Chieftain. 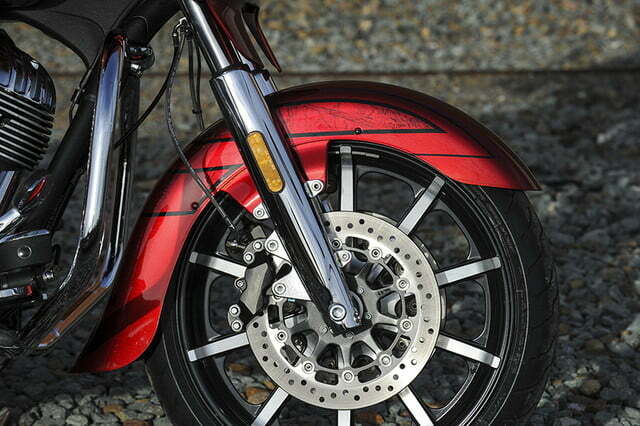 Styling touches the Limited shares with the Elite, in addition to the front fender and wheels, include a color-matched headlight bezel and a more aggressive-looking, shaped seat. 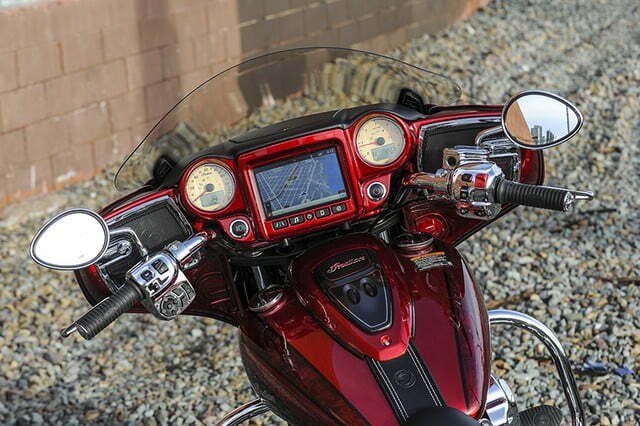 Like the 2017 Chieftain, the Limited has a Thunder Stroke 111 engine, Ride Command infotainment system with 7-inch display, keyless ignition, anti-lock brakes, 100-watt premium audio system, chrome front highway bar, power adjustable windshield, and remote locking hard bags. 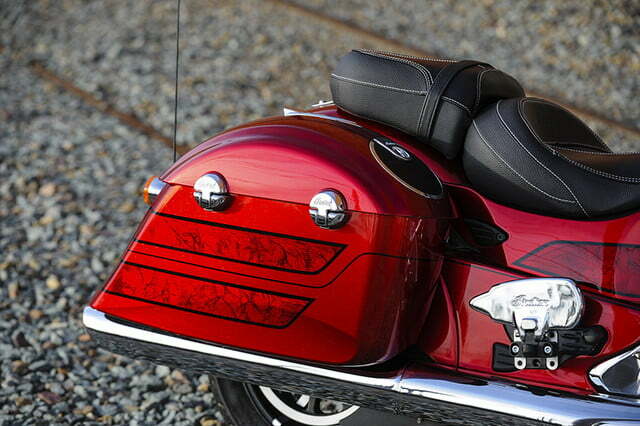 Indian will only build 350 2017 Chieftain Elites, with $31,500 starting prices. The Elites assume the top-of-the-line Chieftain role. 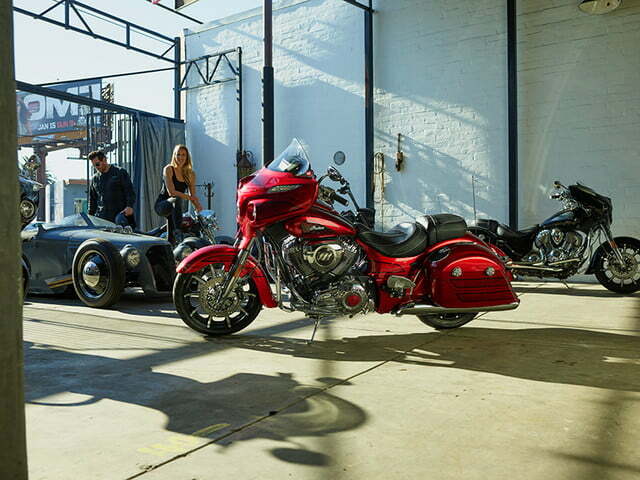 “With Chieftain Elite, we wanted to design the most-premium, feature-packed Chieftain that we could possibly imagine,” said Reid Wilson, Indian’s director of marketing. 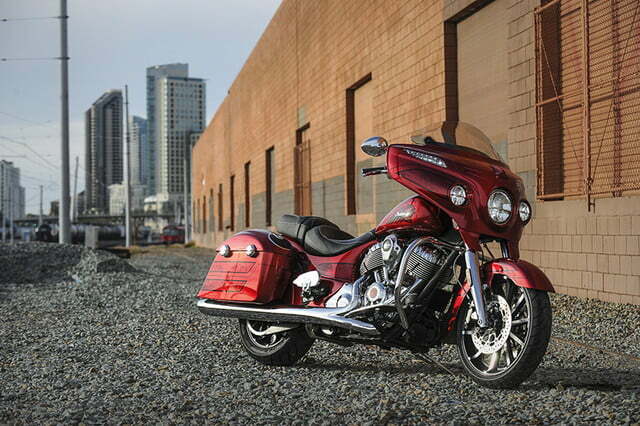 Each Chieftain Elite will wear a hand-painted finish in Fireglow Red Candy with Marble Accents paint. 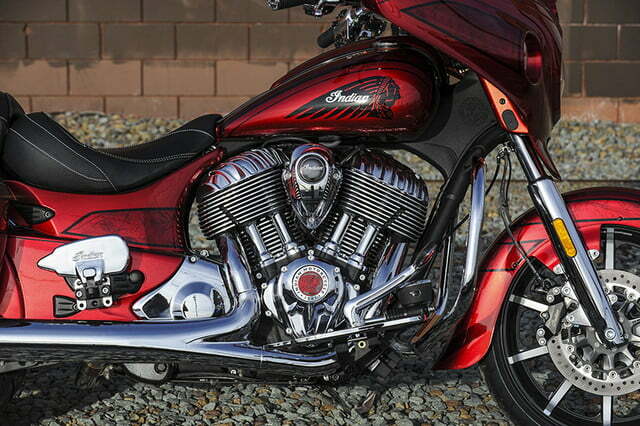 Each bike takes 25 hours for a Spearfish, South Dakota team to paint. No two will be alike. No other color choice is available. 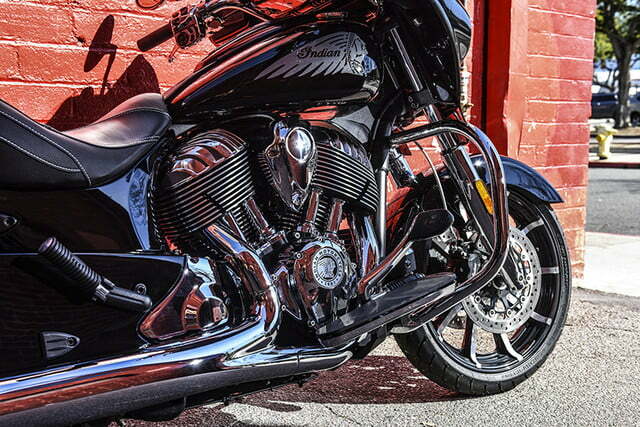 In addition to its sawed-off open front fender and 19-inch front wheel, every Elite will have a color-matched headlight bezel and a contoured leather saddle. 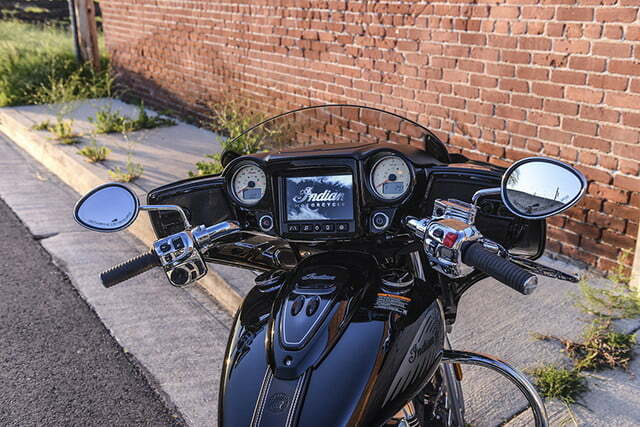 Indian opens the option book for the Elites and adds Pathfinder LED headlight and driving lights, a flared windshield, billet driver and passenger floorboards, and a 200-watt saddlebag audio system.